City of Mount Pearl - Pearl Awards — Lat49 Architecture Inc. 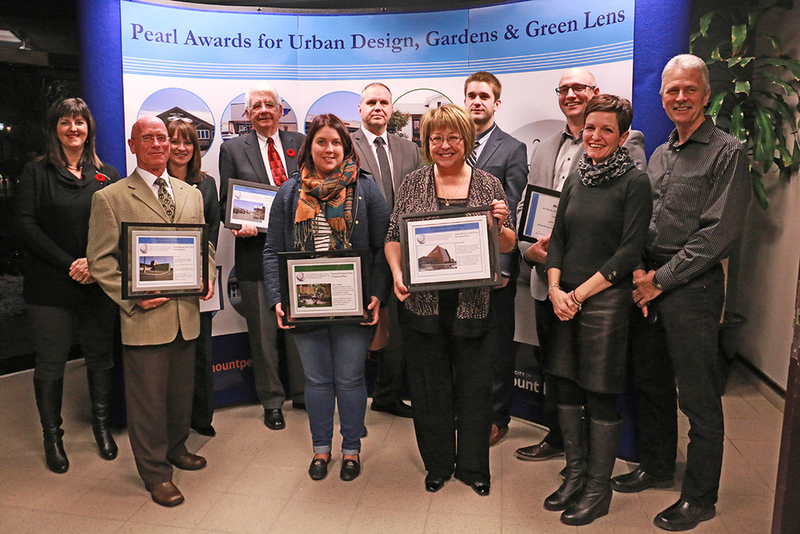 The Urban Design Award is awarded to a project which promotes excellence in urban design within the City of Mount Pearl. The project must enhance the quality of life and aesthetics in the City through architectural and landscape architectural design. The Reddy Kilowatt project reclaimed a prominent brownfield site that sat vacant for a number of years after a former commercial facility had been partially removed from the site. This site is unique in that it straddles one of the busiest thoroughfares in the Avalon region and one of the most important river systems in the region, the Waterford river. This project also acts as a buffer between an industrial storage yard to the East and residential properties to the West. This terraced site is strengthened by the extensive landscaping which covers every square inch of the property. The Green Lens Award is awarded to projects which implement green initiatives and innovative sustainable design solutions. Projects must promote the advancement of environmental stewardship, through the use of innovative and sustainable water, energy, site and building systems. The Reddy Kilowatt Credit Union project employees many innovative sustainable elements including Geothermal heating / cooling, LED lighting fixtures throughout, R18 glazed exeterior wall panels increasing diffuse natural daylighting, full Digital Controls systems, variable speed pumping controls , occupancy sensors, astronomic lighting controls along with a host of other initiatives to reduce the environmental impact of this facility.